Why do you go away? So that you can come back, so that you can see the place you came from with new eyes and extra colors. Coming back to where you started is not the same as never leaving. 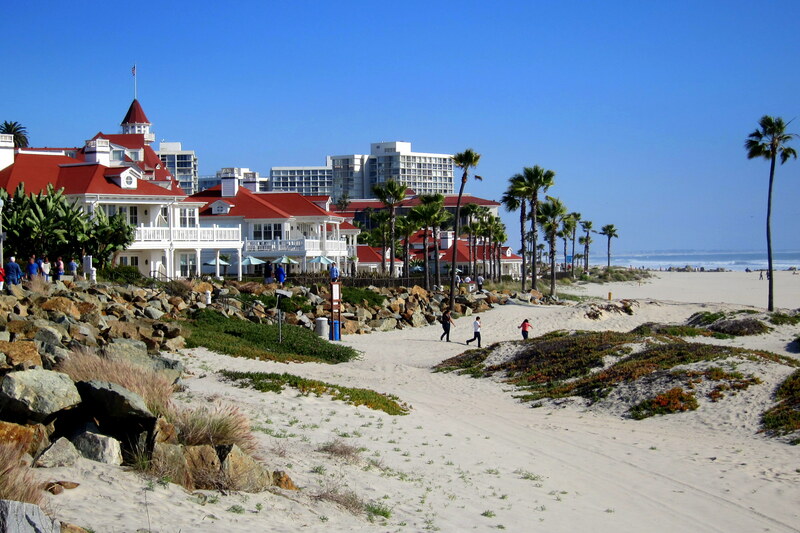 Monday, March 3 through Sunday, March 9, 2014-Coronado, California, Week #1: Up to a glorious day on the Silver Strand nestled between the Pacific Ocean and San Diego Bay. Blue skies, bright sun and gentle breezes…..life is indeed, great! 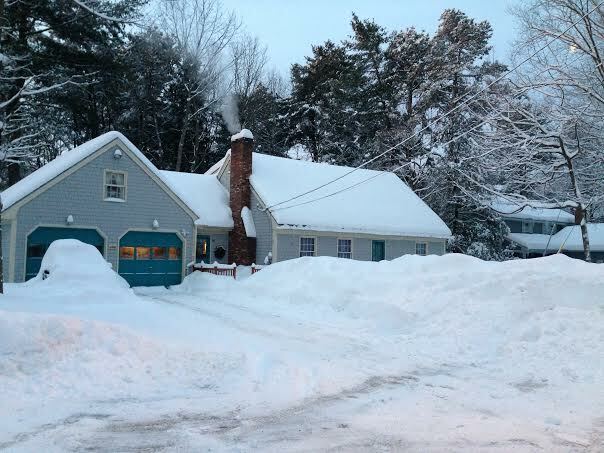 I wonder how the weather is back at the old homestead. Coronado Island, yep it used to be an island, was purchased and developed in 1885 by a rich guy as a resort for his rich friends. How rich? Well in order to get folks to “his” island he built a light rail system up the narrow isthmus that connected the island to the mainland. However high tides coupled with winter storms would wash away the roadbed necessitating repair every spring. Tired of that, said rich guy dredged a portion of San Diego Bay and built a causeway. In the early 19th century, the US Navy discovered the value of this protected bay as a homeport for its ships and furthered the dredging. This enlarging of San Diego Bay also enlarged the island of Coronado itself and a Naval Air Station was soon established at the north end called, what else…..North Island. 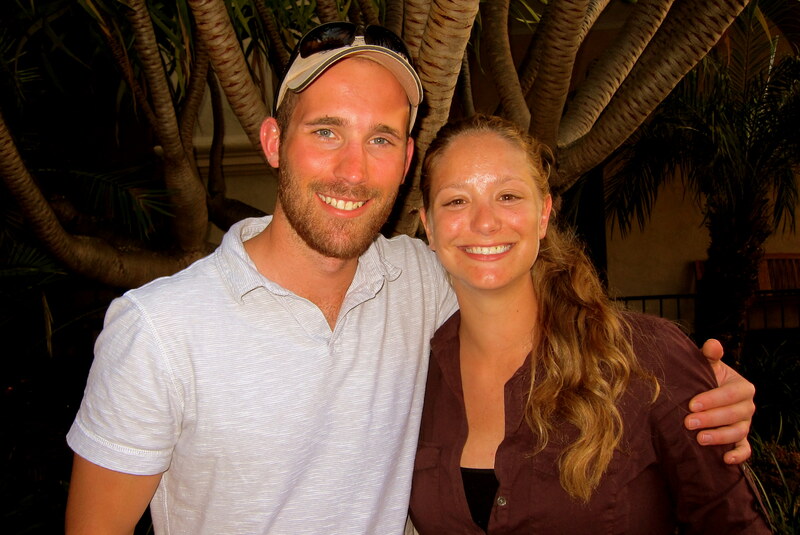 As you may remember, Kit and I grew up and went to school in San Diego which lies just across the bay from Coronado. 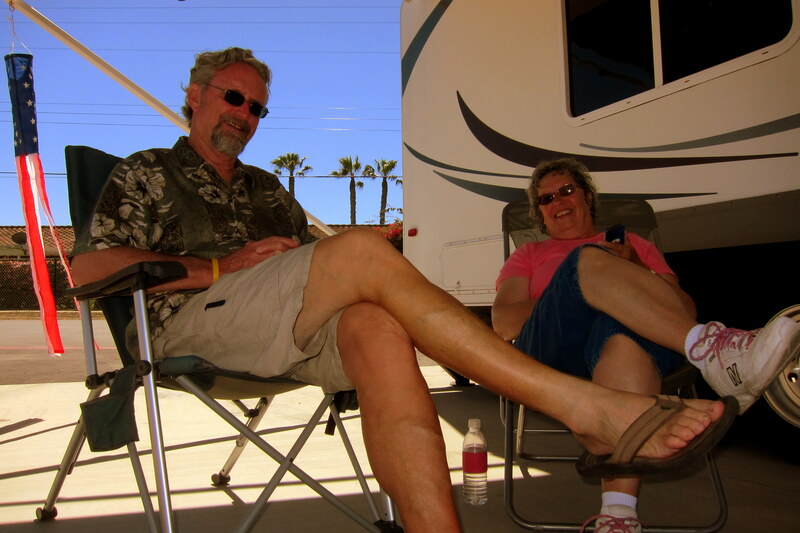 In fact, we got married 48 years ago at the Coronado Courthouse a mere three miles from where we are now camped. On past trips, we usually spend most of our time visiting family and friends, but this trip we intend to enjoy some of the tourist sites we haven’t seen in years. 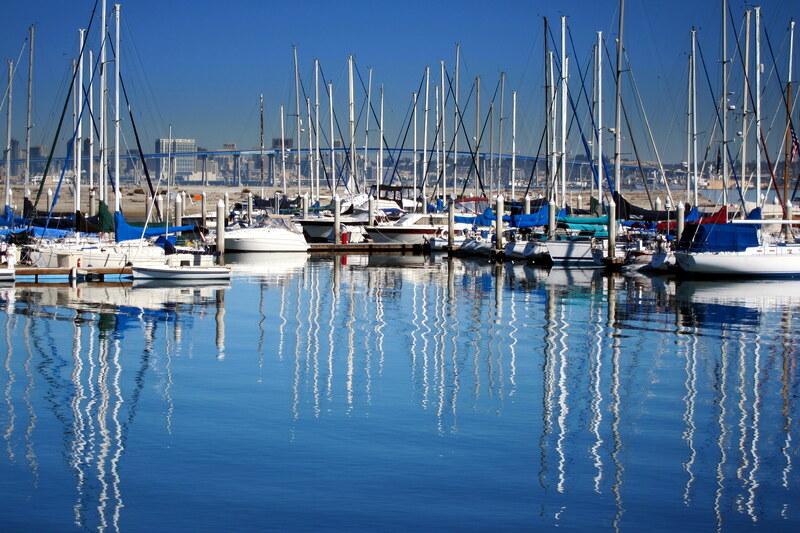 To begin with, we spent considerable time in Coronado during our stay. Early, on one morning, we traveled to the village by walking along the bike and pedestrian path. This 9 mile long, 8 foot wide paved route parallels the Silver Strand and is located between CA-75 and San Diego Bay. From our campsite at Fiddlers Cove we headed north to the village, a distance of 3½ miles away. 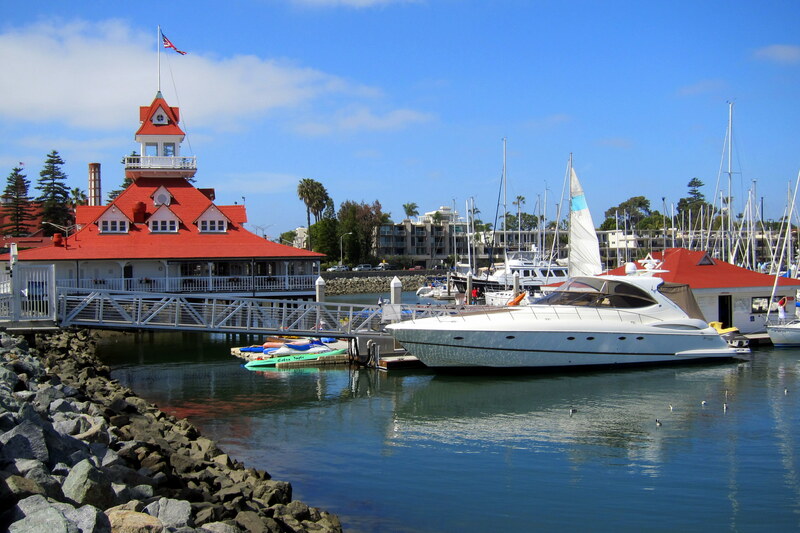 The pedestrian path took us by the Coronado Yacht Club and the Boathouse Restaurant. 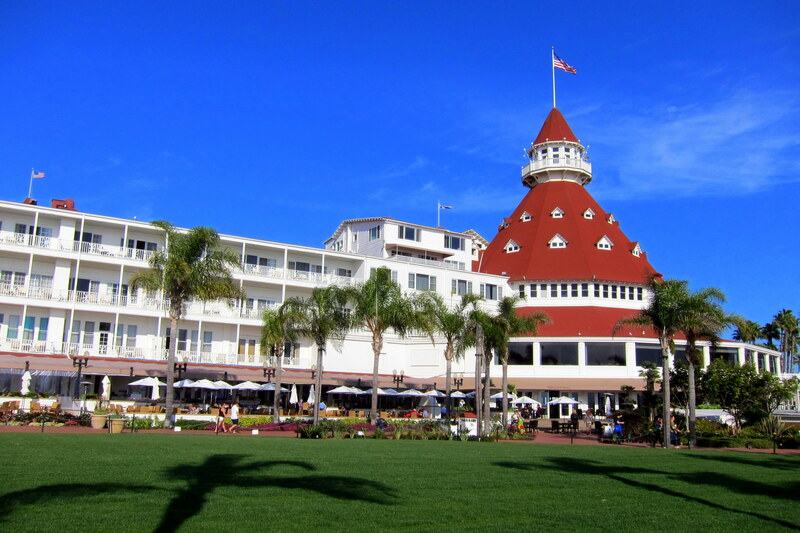 We then strolled through the grounds of the Hotel Del Coronado. This is one fancy place! The room’s run from $289.00 to $514.00 per night! I’m surprised they let us walk through the place for free! The Hotel Del is a luxury hotel (you think!) and is one of the few surviving wood framed Victorian Beach Resorts that used to dot both coastlines. When it opened in 1888 The Hotel Del was the largest resort hotel in the world. Originally lit with natural gas lanterns throughout the property, electric lamps were installed in 1904 by running wires through the existing gas lines…..all of this was overseen and inspected by Thomas Edison. If you can afford to stay in the Hotel Del, you can afford one of these. 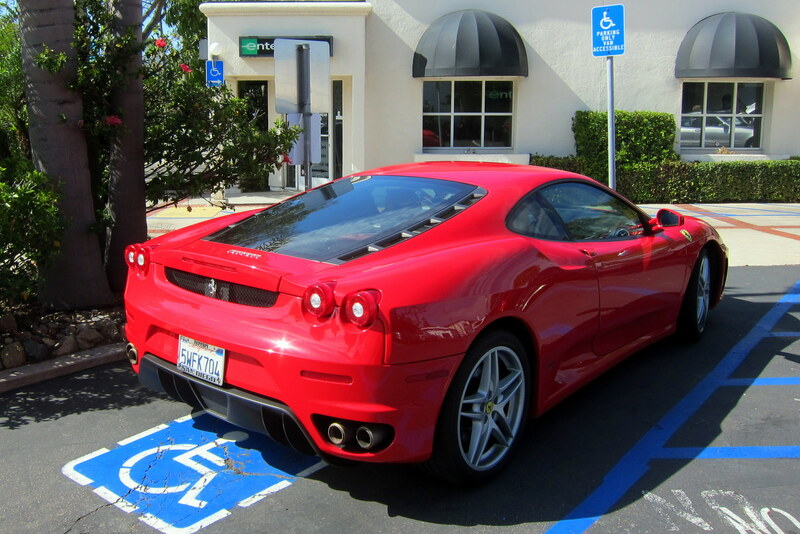 Yep, that’s a Ferrari…..and yep, the old guy was disabled. I talked to him for a few minutes and he was barely able to walk. But when he got behind the wheel of that incredible machine, he was a kid once again…..running through the gears as he made his way up Orange Avenue. The Hotel Del was the first resort on the island constructed by the rich guy mentioned earlier. 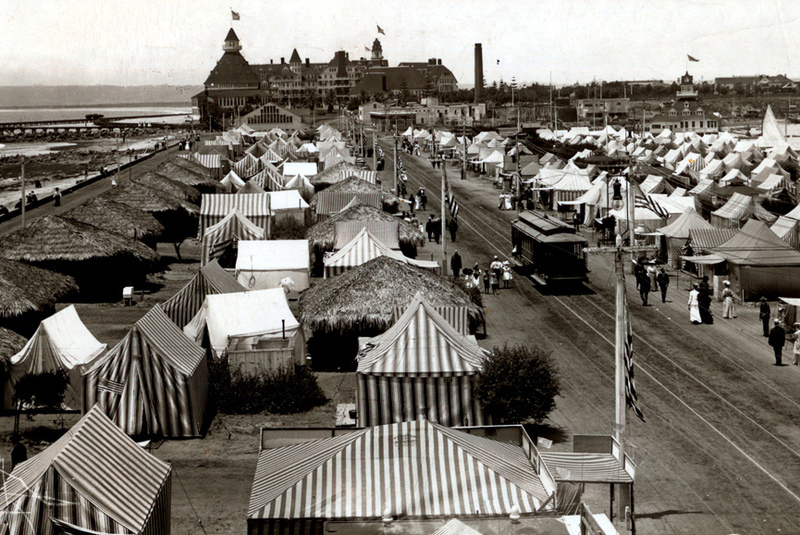 However to attract the more common folk, he reserved a section of beach to the south for camping…..this created what was to become known as Tent City. In the photo above that I took back in 1907, you will notice the Hotel Del in the background. Also, please note the streetcar that brought folks up the isthmus, now called The Silver Strand, from the train station in Imperial Beach. Deciding we didn’t want to sell our camper in order to afford a meal at the Hotel Del, we were directed to a very nice restaurant by a local. 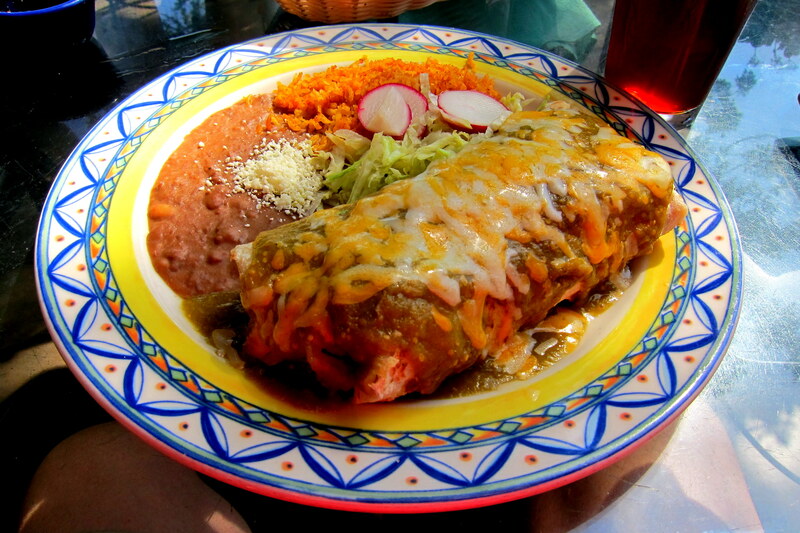 Miguel’s Cocina is right in the heart of the village and serves great local beer and authentic Mexican fare. 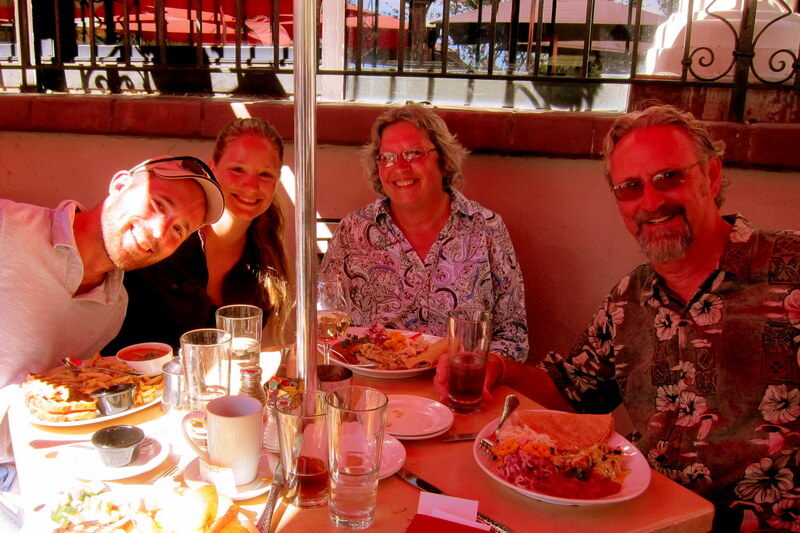 We enjoyed an excellent meal in their colorfully decorated patio. Then, we tried to burn off the jumbo calories by walking the 3 ½ mile trek back down the Silver Strand to our camper at Fiddlers Cove. Speaking of food (nice segue, huh?) Kit and I don’t make that many meals while on these Excellent Adventure trips. If it is a travel day, we try and have a hearty breakfast, snack during the day and then enjoy a lite dinner in the camper at where we may have stopped for the night. In port (like the nautical jargon? ), we also enjoy a big breakfast but usually have a large mid-afternoon lupper (lunch-supper) at a restaurant in the town we are visiting. Then in the evening, after returning to the camper, we have a snack…..usually cheese, crackers, fruit and wine…..all the major food groups! However back home we enjoy grilling, especially while out at the lake, so we decided to amp up our culinary equipment and purchased this. It is a high quality unit and burns raw meat, fish and poultry to perfection and it receives propane direct from the trailers onboard tanks. 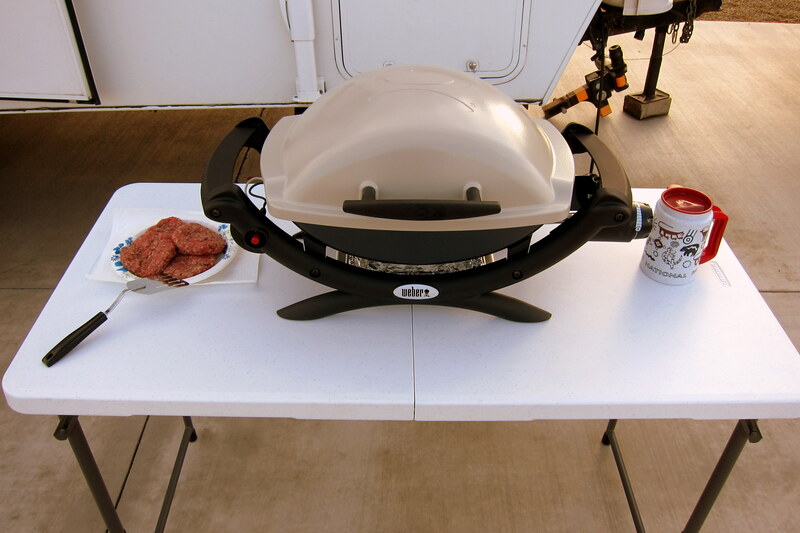 The grill is sitting on a nifty table with adjustable legs and folds to a 2’x2’ easily storable size. Now, I won’t be so crass as to mention the cost of this grill, but notice the plate of $42.45 hamburgers waiting nearby. On one of our outings, we stopped by the Naval Air Station at North Island. We needed to re-supply at the commissary and the exchange and get some discount fuel. 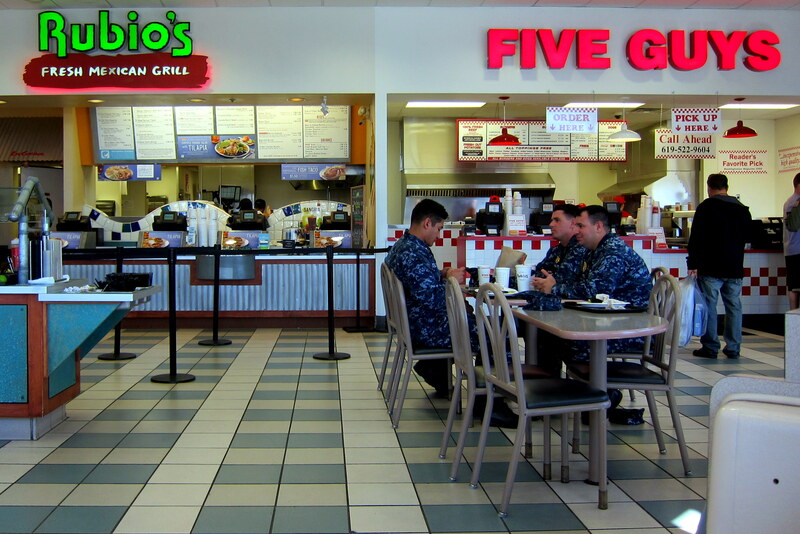 Noticing that the food court in the very nice Navy Exchange had our two favorite fast food places side-by-side we decided to have lunch. There are three sailors in the photo above, but you may not be able to see them as they are wearing the new camouflage uniform. Not sure what the Navy Uniform Board is thinking…..if they really want to camouflage sailors at sea, they need to make the uniforms resemble haze gray hulls with lots of running rust. Many of the folks I worked with (yep, I do use the term “work” loosely) while at Lockheed Martin have transferred to similar jobs in San Diego. Kit and I had the pleasure of meeting up with Scott and Marie as well as Jim at a really nice restaurant in Mission Valley. The Lazy Dog Restaurant and Bar featured incredible tavern fare along with unique local tap beers and free valet parking…..a plus on a very busy Friday night! We had a great time seeing everyone and catching up on the details in their lives. 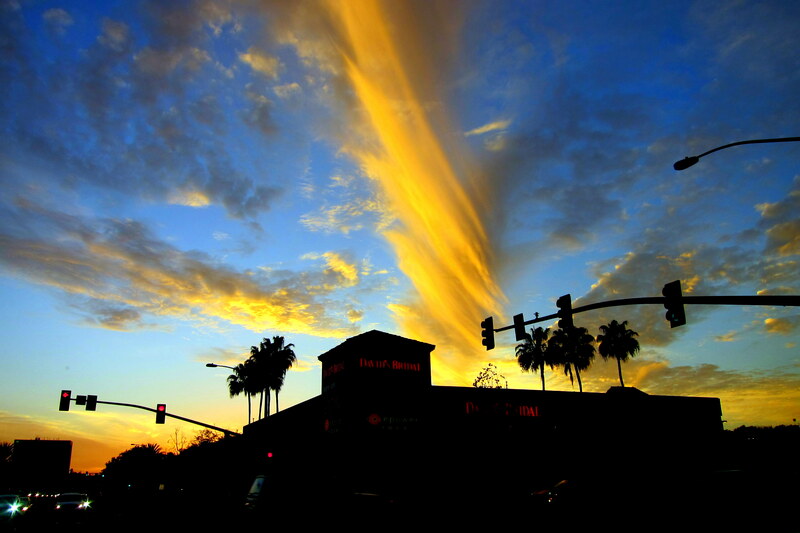 And leaving the restaurant, we were treated to this unique sunset over the many shops and restaurants in the valley. Hard to believe seeing Mission Valley today that back in the 1950’s, when we lived on the mesa to the north, that this whole valley was undeveloped and consisted of mainly farms and ranches along the wild San Diego River. In elementary school, our exposure to the agricultural life came as a result of field trips to one of the many dairy farms that littered the valley. Eventually, there was one small shopping center that was built in the early 60’s and featured just a handful of stores. Today Mission Valley is canyon-wall to canyon-wall of hotels, motels, sports arenas, office complexes, condos, car dealerships and every retail venue one can imagine. On yet another outing to the area, we visited with an old elementary school classmate of Kit’s that she recently reconnected with on Face Book. This fellow and his son own a brewery in town so we just had to investigate! 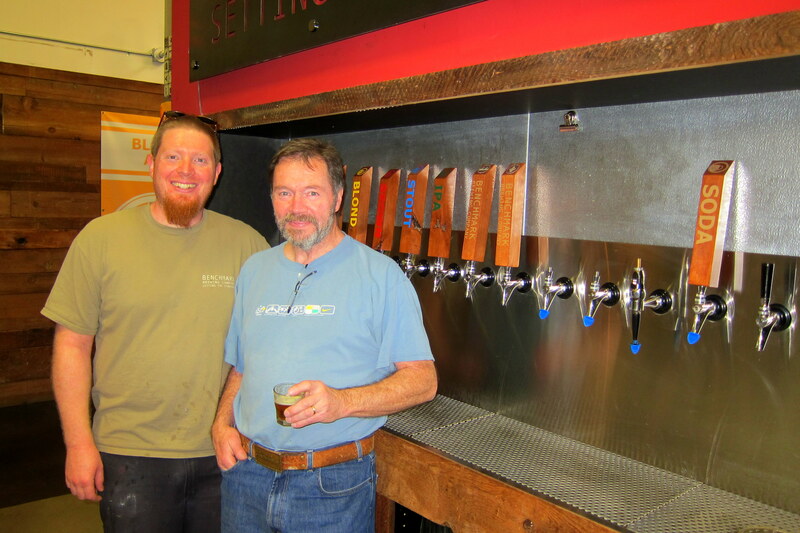 Jim with his son Matt, a Certified Master Brewer, spent the better part of a year building the brewery before opening for business last year. 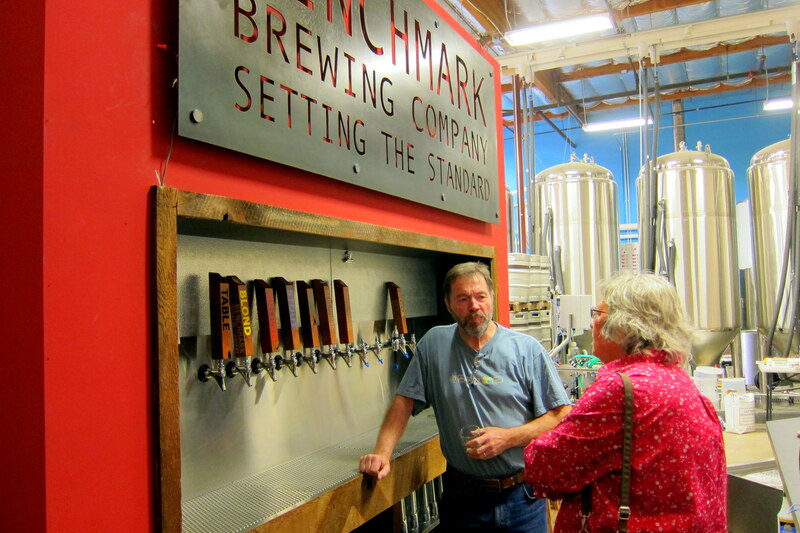 Meeting up with Jim before the tasting room opened for business allowed us to enjoy a detailed tour of this fascinating facility. Notice the unique light fixture in the photo above and in the closeup below. That, as well as all the interior decorating, was artfully accomplished by Matt’s wife, Rachel. 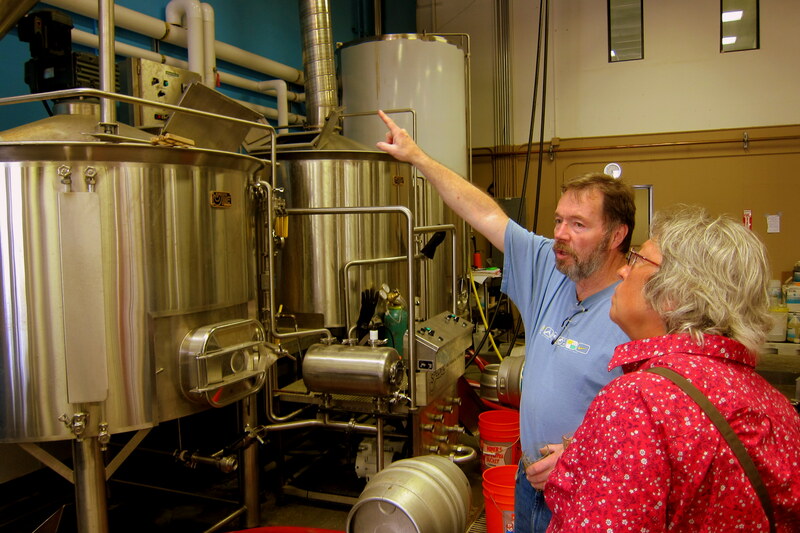 To lubricate the dialogue, Jim offered us a “walk around beer”, and treated himself to one as well. 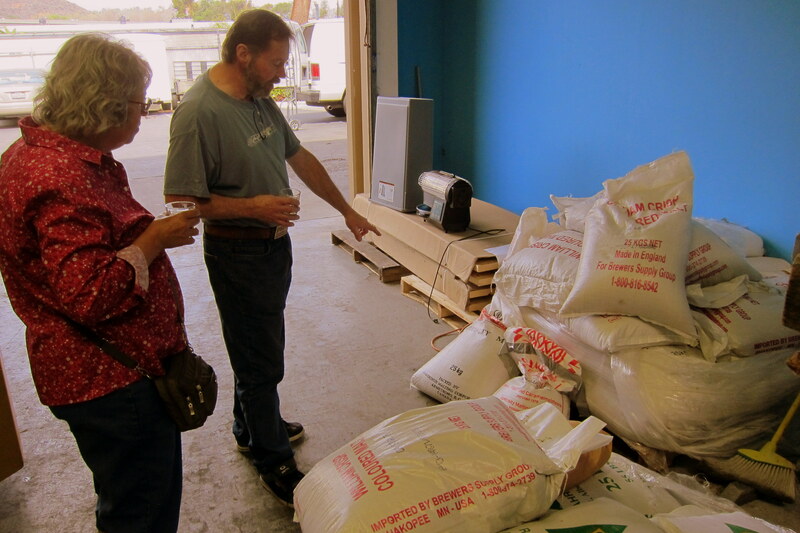 Then it was a few steps to the production facility where he explained the art and science of brewing craft beers, starting with the basic ingredients of malted barley, hop flowers and water. Which are combined in the Mash Tun, and then transferred to the kettle for a few hours of cooking. 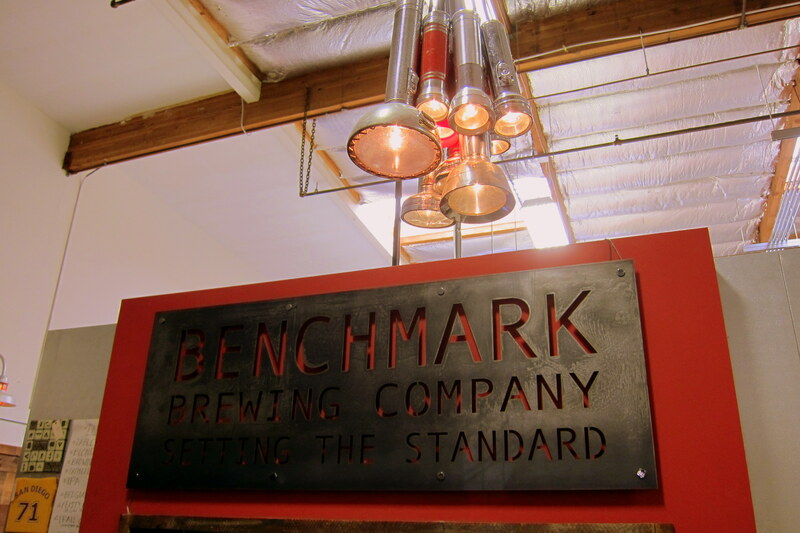 When cooled, the Wort is transferred to the fermentation tanks where yeast is added, which begins the process of turning the mixture into drinkable beer. The beer can stay in these tanks for a couple of weeks to more than two months depending on the style and strength desired. The longer the beer stays in the fermenting tank the higher the alcohol content, generally up to 12% for the “larger beer’s”. 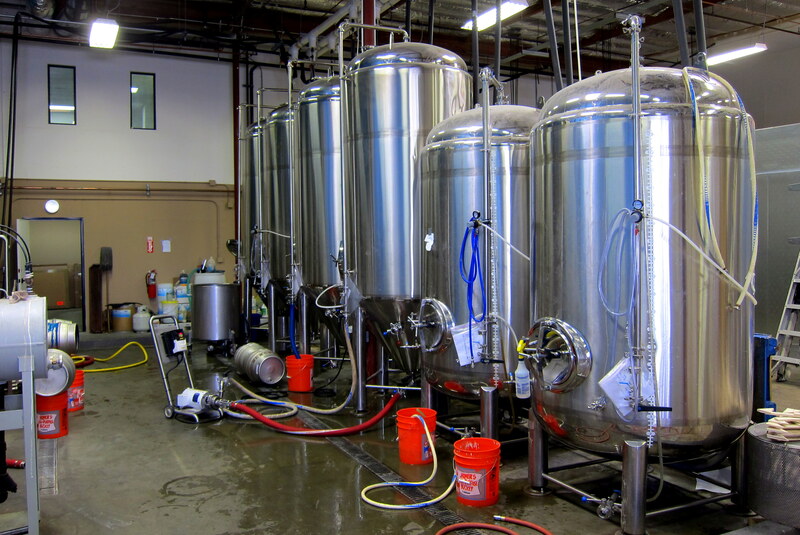 When the beer is ready to be born, it is drained through a filter and poured into kegs which are immediately placed in the cooler. 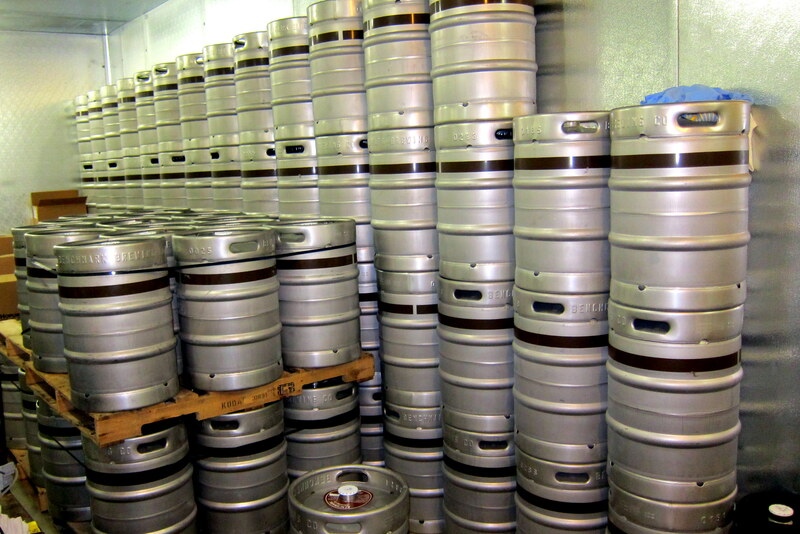 The chilled beer is then sent daily to one of the many 400 some odd accounts they have earned in the San Diego County area. 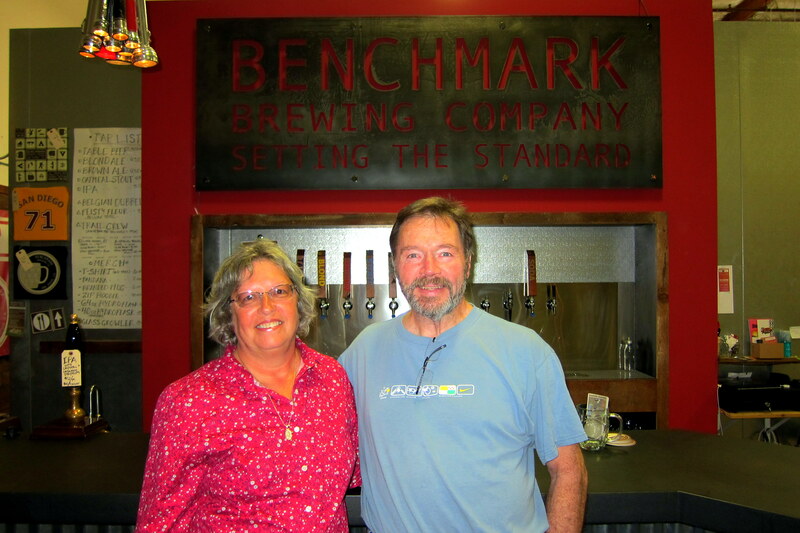 Their beer is featured in some of the finest taverns and restaurants in the area. 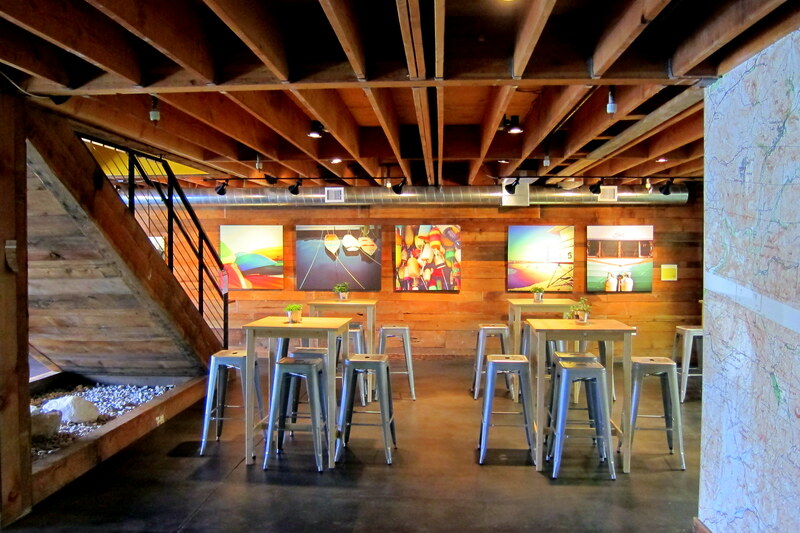 However nothing is like visiting their nicely decorated tasting room and sampling one of their signature barley pops. Jim spent over two hours out of his busy day visiting with us. We talked over old times and got caught up with what has transpired in our lives these past 50 years. Kit and I thoroughly enjoyed his personal tour and learning about the process involved in turning simple ingredients into incredible tasting beers. 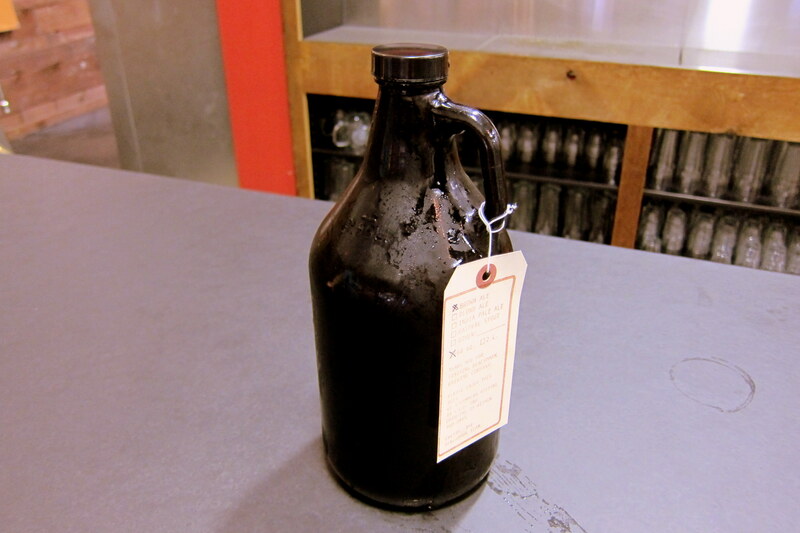 As an added bonus he sent us off with a “Growler” of our choice to enjoy later. 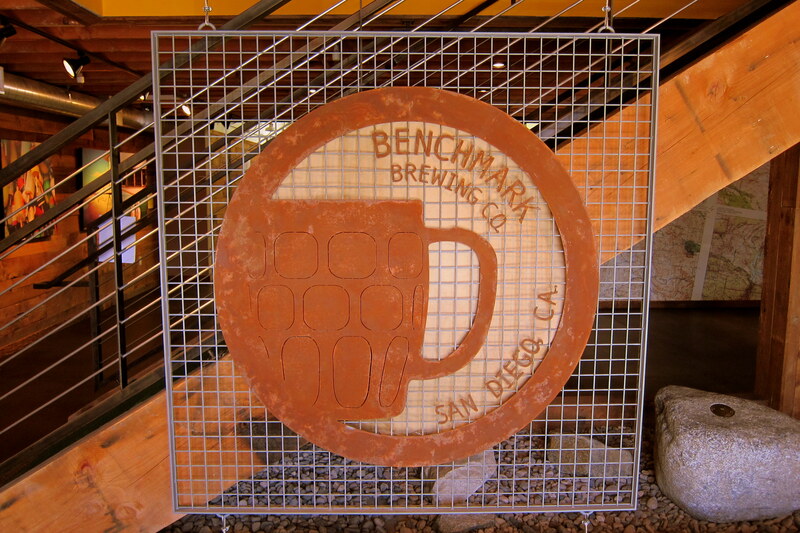 And if you find yourselves in San Diego, look for Benchmark Brewing beers at the finest taverns or better yet, visit their tasting room in Mission Valley. Back at the camper, we took Jim’s advice and swiftly consumed our 64 ounce growler of Brown Ale while it was still cold. As you can imagine, it was a pretty mellow afternoon as we sat bayside and watched the boat traffic cruise by. 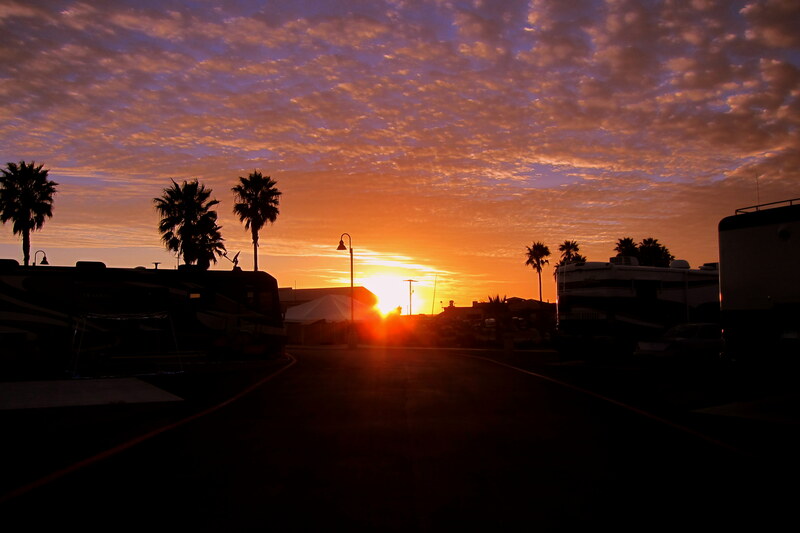 Until the sun set over the RV Park. A nice end to a great day! 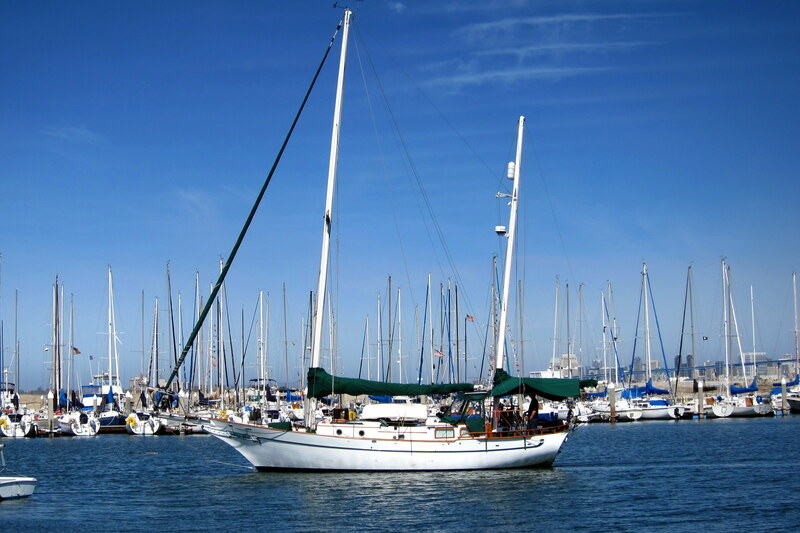 Fiddlers Cove is a US Navy Recreation Facility that features, in addition to the RV Park, a 480 slip marina, a vast rental fleet of sail and power boats as well as canoes, kayaks and stand up paddleboards. 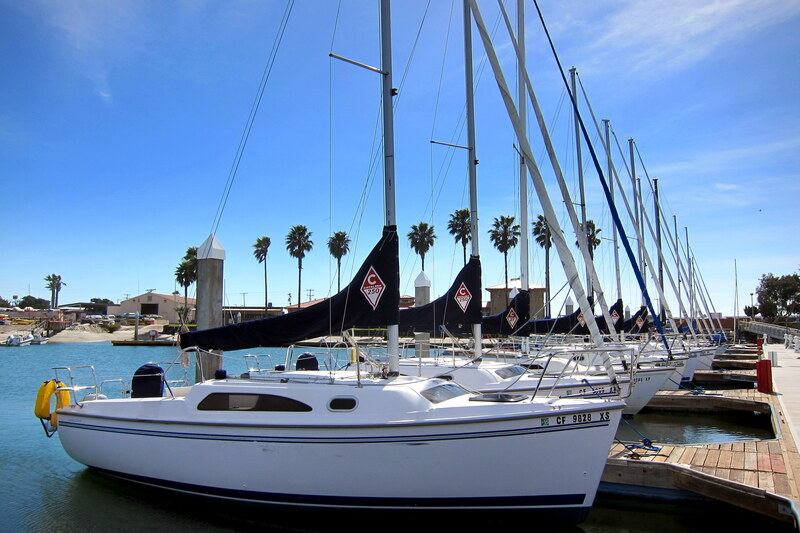 When we return, and we will be back, I plan on getting checked out in their sailboats…..it is just a short transit out the protected marina into San Diego Bay and some world class sailing. 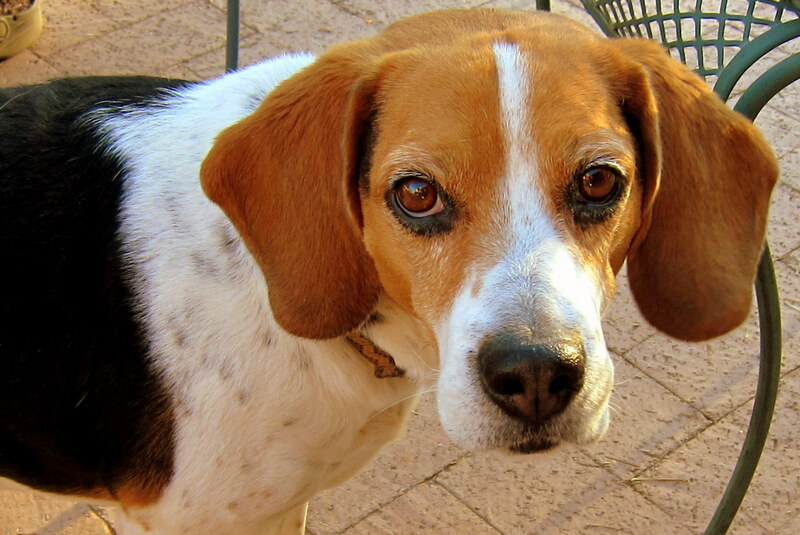 During our stay in Coronado, we received the sad news that one of Dewey and Bea’s beloved pets had passed. A rescue dog, Max had seamlessly moved into the existing menagerie of Nile and Kali and quickly made himself a member of the family. He was a kind and gentle animal and a bit of a clown. 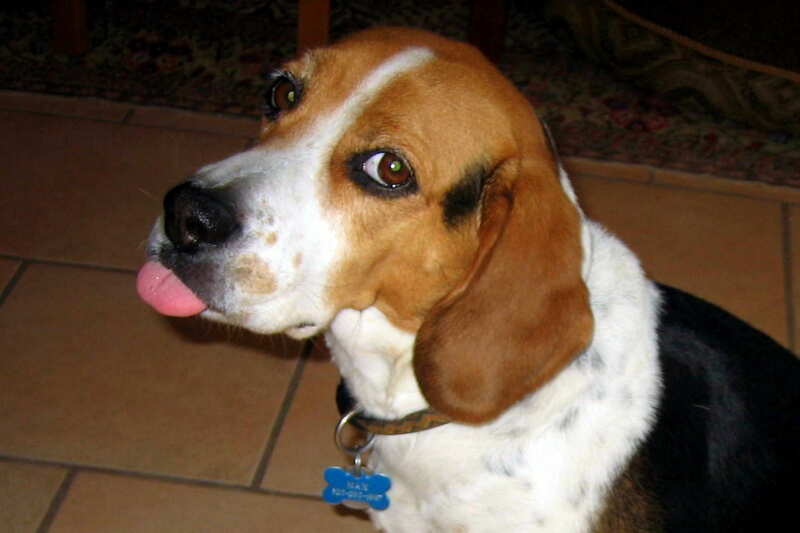 Max will be missed by his family as well as by Kit and I and all who knew him…..he was one great dog. On one day, while meandering about the village of Coronado, we went looking for the relative of a good friend back home. Frank and Pat’s cousin Michelle owns a nice tee-shirt shop right in the center village. Even though we met Michelle a number of years ago during a visit she made to Maine, she had no idea we were camping just a few miles to the south. 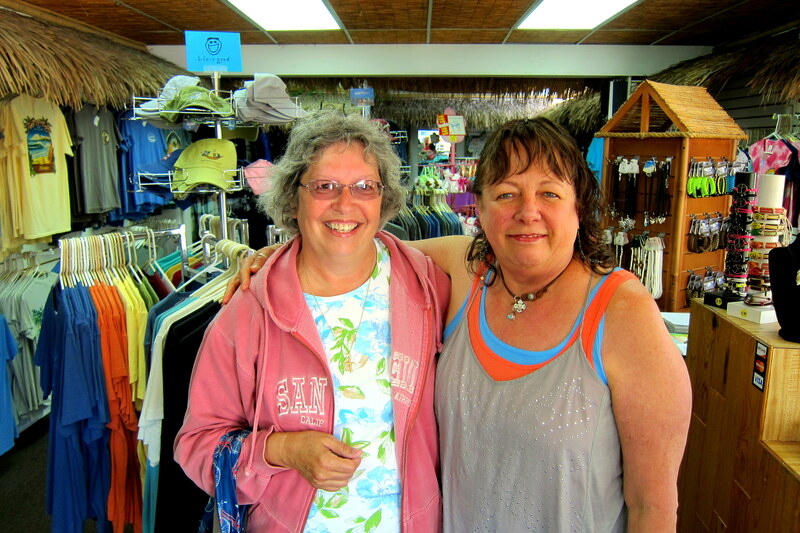 After browsing her shop as normal customers for a few minutes I caught her eye and said: “You look just like a person I know in Maine by the name of Pat”. Her jaw dropped and her eyes widened and she stammered… ”What? I have family in Maine!” After letting her in on our little joke we had a nice time chatting about Maine and Coronado. In addition Michelle was kind enough to give us a significant discount on some products we purchased. 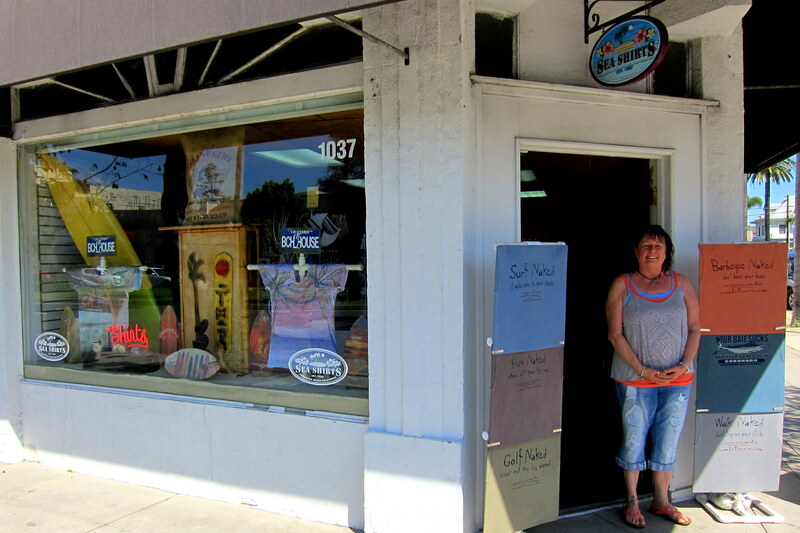 When you visit Coronado, make sure you stop in at Sea Shirts on Orange Avenue…..the shop has some very nice original tee shirts, most designed by Michelle herself. 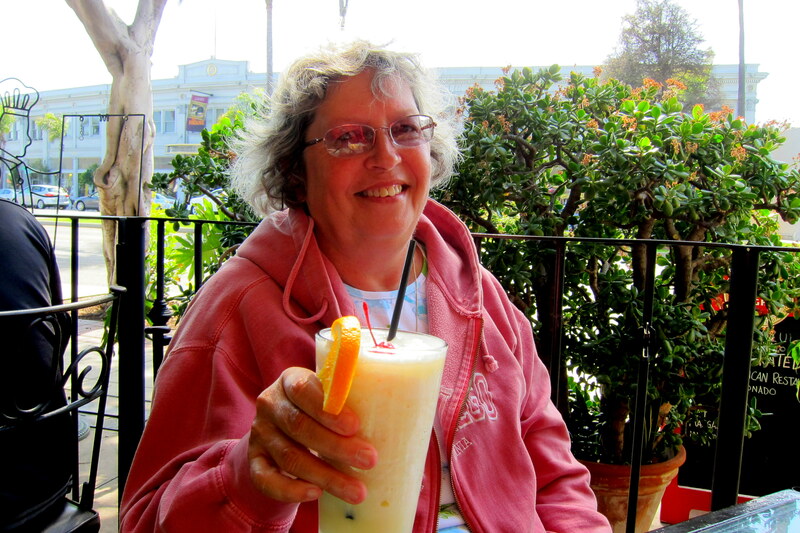 Continuing our walk about town we stopped in a local tavern for a tasty adult beverage. 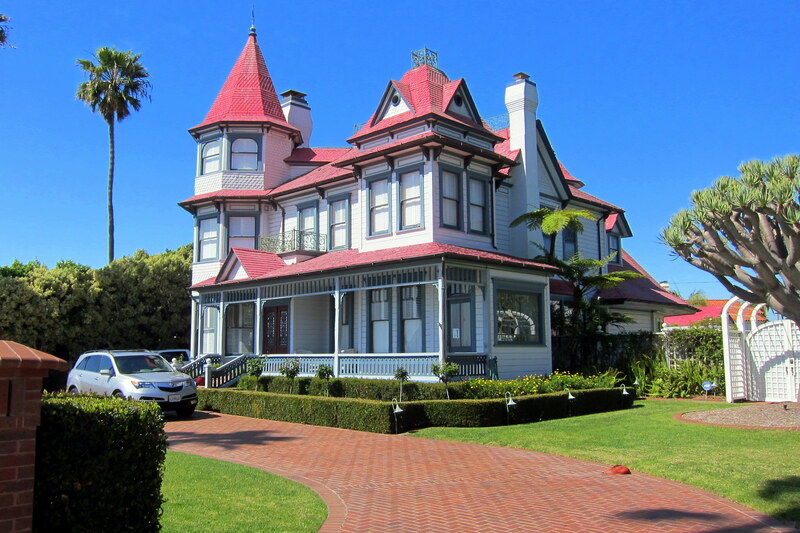 Followed by a meander through the beachside neighborhoods where we admired some of the fancy homes. This little bungalow was on the market for a mere $7,900,000.00! The village of Coronado is very walkable with a mixture of local residents and tourists mingling peacefully as they each go about their day. Everyone seems to be in a good mood……must be the great weather, incredible food, and beautiful surroundings. Other than getting married here in 1965, we seldom ventured this far south while growing up in the area. For one thing, before the bridge was completed in 1969 the only way across the one mile bay was by a passenger ferry or by making the long trek south and up the Silver Strand, a distance of 23 miles. 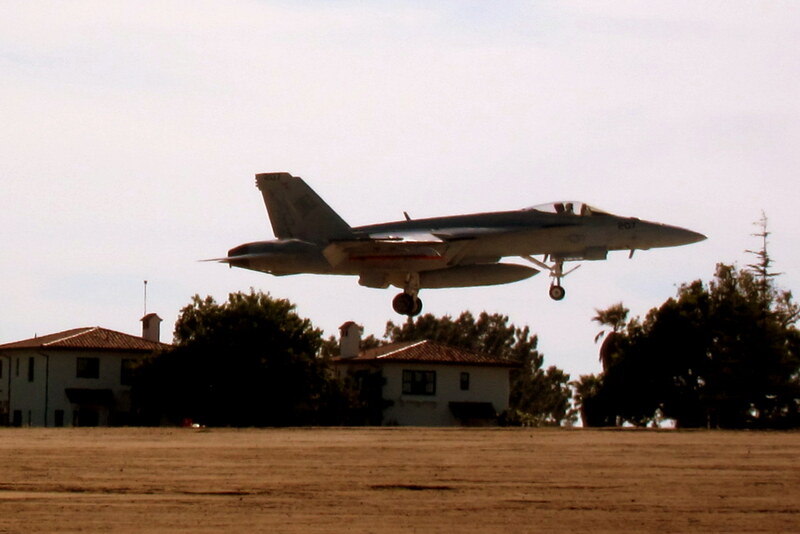 The Naval Air Station anchors (pun intended) the north tip of Coronado. This is where the aircraft carriers tie up and it also houses 23 aviation squadrons including the aviation training command for the Pacific Fleet. In addition, the base features one of the finest military lodging facilities in the continental United States. 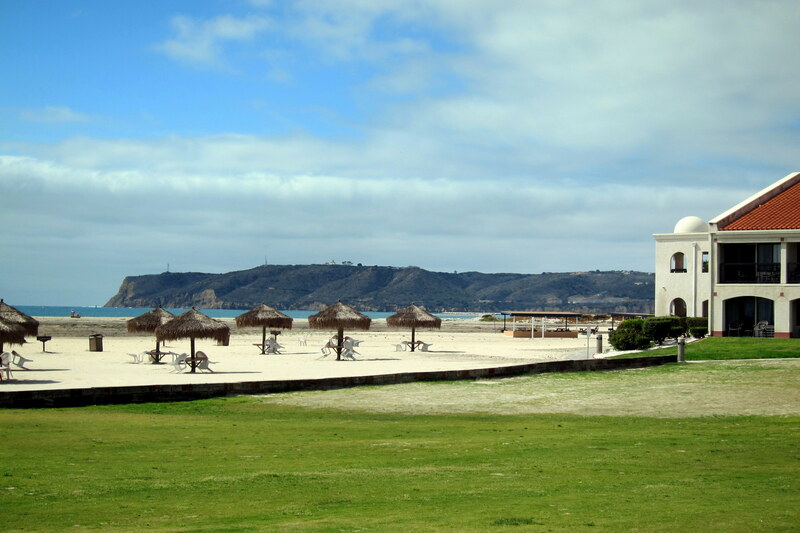 Located right on the beach, the lodge features a commanding view of Point Loma at the mouth of San Diego Bay. If you visit, just be sure to keep a lookout for low fliers when the fleet is conducting flight ops. Speaking of flight ops and naval aviation, a friend of our grandson Joe is in town with his girlfriend, a Navy helicopter pilot. 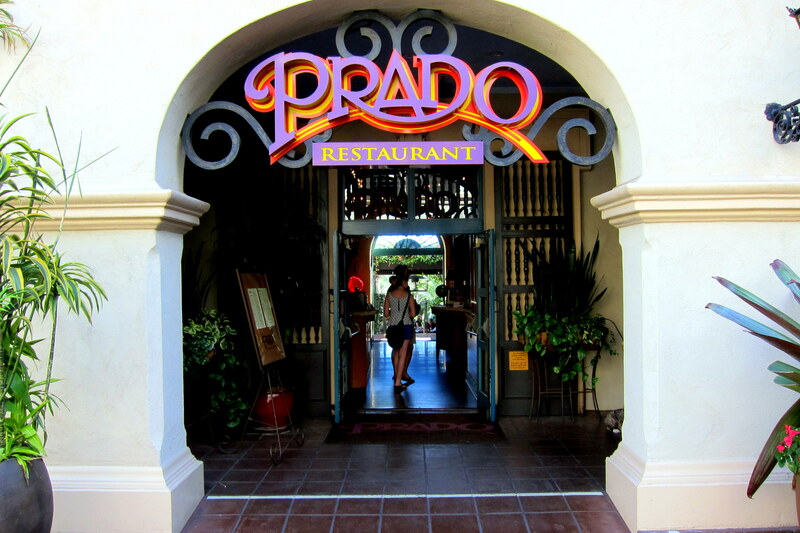 Jonathon and Marcy were able to take a few hours from their busy schedule and join us for lunch at the Prado Restaurant in Balboa Park. 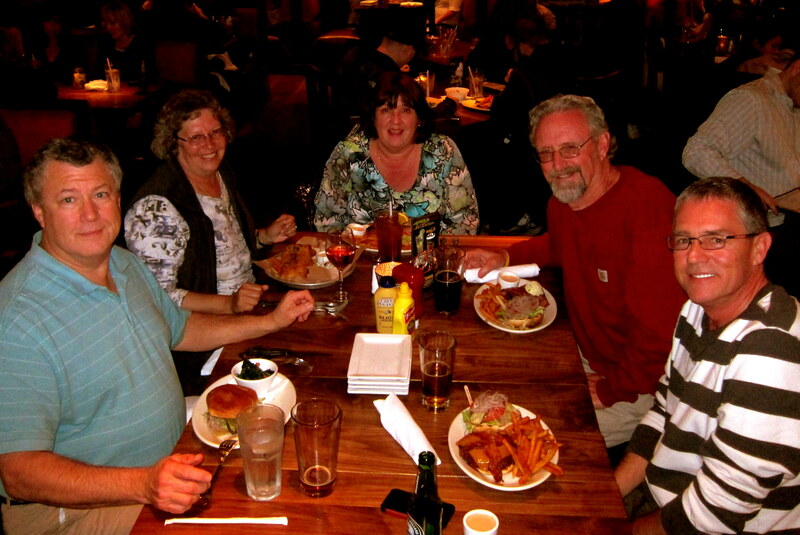 We had a great meal and a great time catching up on the news of their life in San Diego. 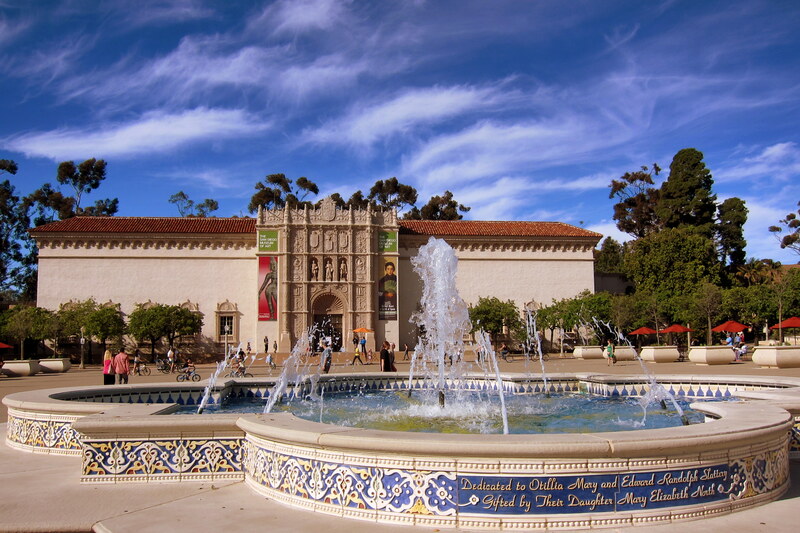 Balboa Park is one of the premier attractions in San Diego and is located near another major tourist draw, The San Diego Zoo. 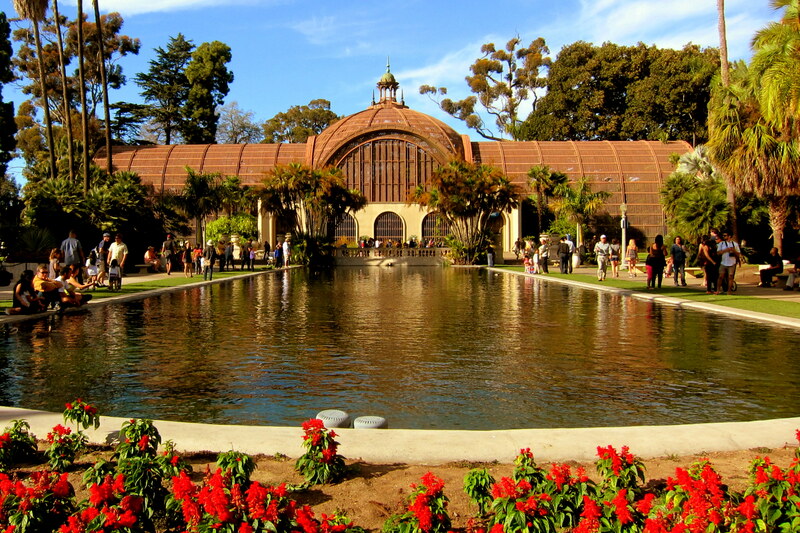 Originally built for the Southern California Exposition of 1915, Balboa Park now features numerous museums and gardens located in the lush Southern California oasis just minutes from downtown. The world class botanical garden is fronted by a massive reflecting pool. 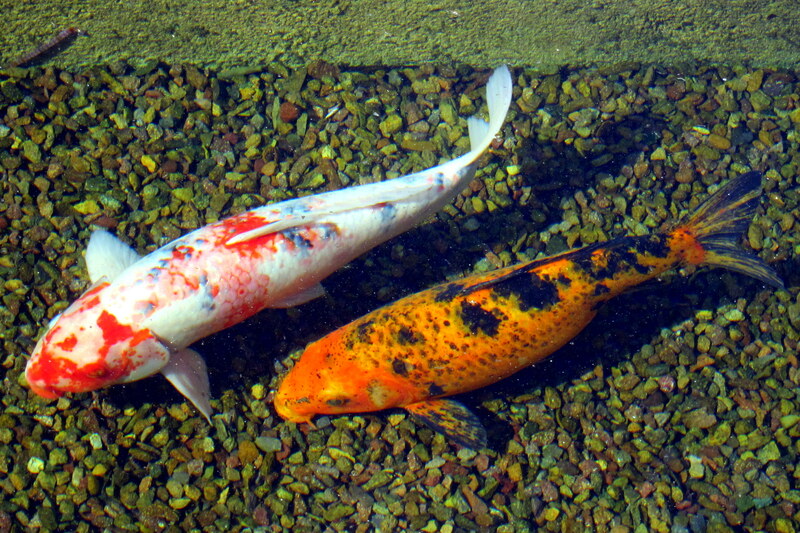 The pool contains brightly colored Japanese Koi. However, with all its intellectual and historic offerings, one of the most popular attractions in the park is the 1910 merry-go-round still in daily operation. Kit, Jonathon and Marcy had a blast going round and round as the hand carved and brightly painted wooden carousel animals went up and down…..and I had a blast photographing them! You will have to ask Kit why she chooses to ride a barnyard fowl over the more stately steeds. Thanks guys for a wonderful afternoon and good luck on your next assignment in Kaneohe, Hawaii……maybe we will visit you there as well! That’s all folks, for week one in paradise…..stay tuned for week number two coming soon to an inbox near you! 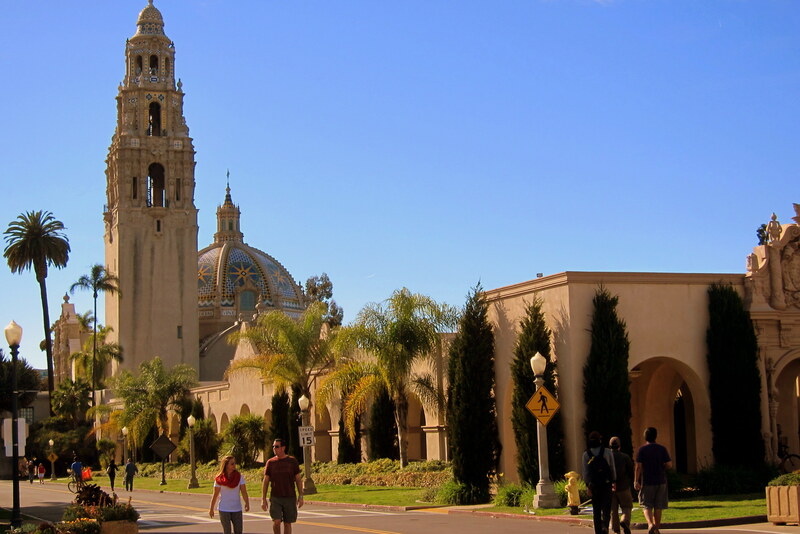 Kit’s Bits: It’s no wonder San Diego is called “America’s Finest City”! During our brief stay here, we focused on being “tourists” for the first time ever. Add to that, since we were married in Coronado back in 1965, we had never taken the time to walk around the town and see its many sights. We had perfect weather (of course) and saw as much as we could, being out exploring almost every single day. Catching up with Jonathan and Marcy was a highlight of our visit. We hadn’t met her yet, she’s a delightful (and smart) young woman with an exciting career ahead of her, being a helicopter pilot! We’ve known Jonathan since he was about 5 years old. He’s always kind enough to stop by and visit us while we’re home; Tom & Gudrun, your son has matured into a fine young man! We wish the two of them the very best as they head to Hawaii soon. The Billy Wilder movie,Some like it Hot staring Jack Lemon, Tony Curtis, & Marilyn Monroe was filmed at the Hotel Del Coronado. 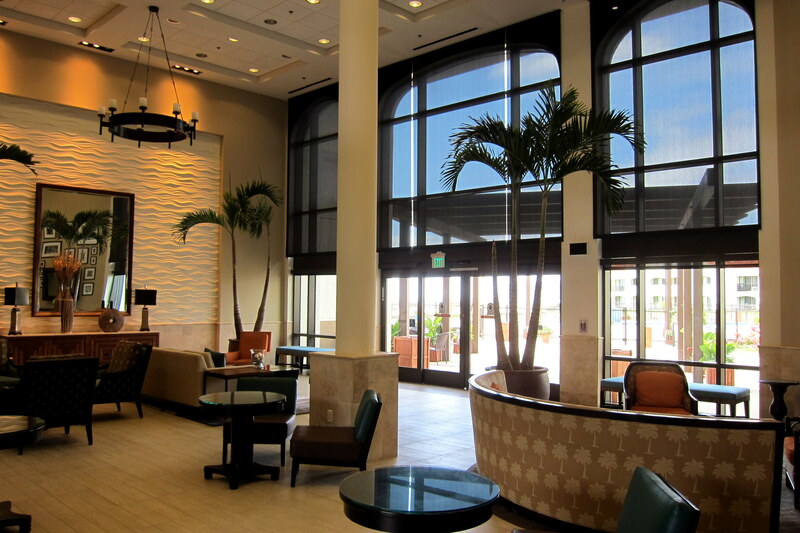 In the movie the hotel setting was in Florida. Thanks for the tour of the area we never got to visit last Fall! It is obvious why so many people live or visit this beautiful part of the country. Thanks for your mention of our Max. He was sometimes sweet and grumpy at the same time. Oh yes, you forgot to mention that all those buildings built for the 1915 expo, were supposed to be temporary and torn down after the expo. With the exception of a few that burnt, they still stand today. Where your hard hats when entering the buildings. You tow just made me very homesick for not just California but San Diego where my life really started taking shape. What a beautiful time you two had and San Diego is still as beautiful as it always has been. SOUNDS AND LOOKS LIKE A HEAVENLY PLACE!!! CLOUDY AND WARMER HERE TODAY, ICE IS ALL BROKEN UP AND HEADING FOR THE SEA. A FEW OF THE EARLY PLANTS ARE PEEKING THROUGH. Really enjoy reading your journal. You certainly know how to pack a lotta living into the available time everywhere you go! And the things we learn from you are fascinating! 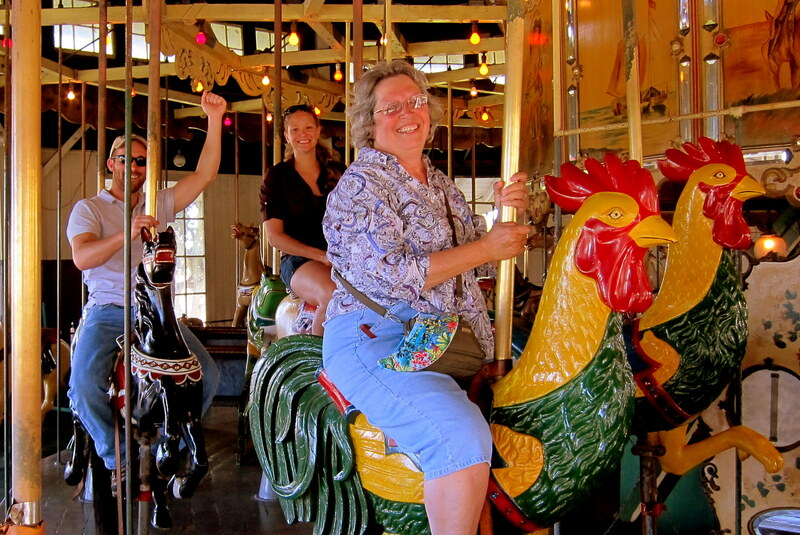 And Kit, I love your choice of a rooster as your merry-go-round steed! Just right for someone who enjoy napping, etc. LOL See you soon (well, relatively speaking). P.S Summer May be showing its head (slightly) around here.. can’t wait! P.P.S. Finally christened DDG1000 this morning.